Tax and accounting services are very much in need of many who don’t understand how accounting processes work. Many businesses require good accountants to balance their accounts and give them a realistic view of their revenue growth. 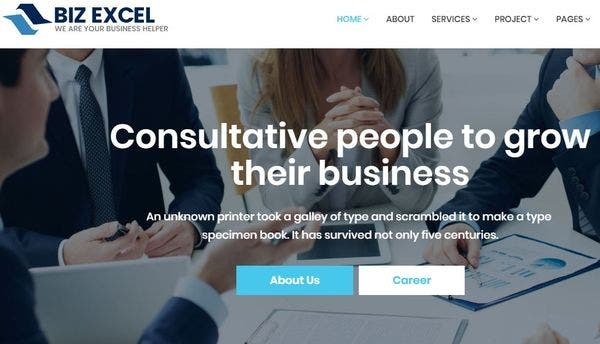 If you want people to know that you are offering such services, start a website about your firm and promote it to get seen by potential clients. You don’t need to learn coding to start it, you can just use simple ready-made templates. 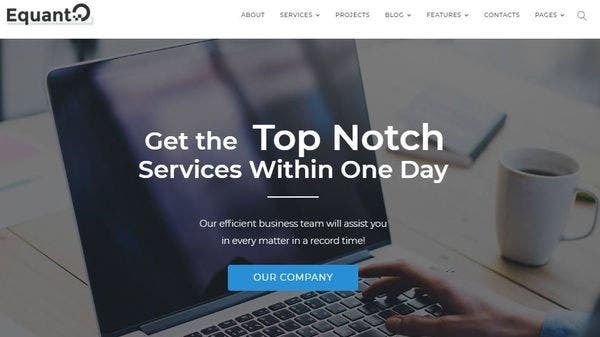 Here are the 16+ tax services WordPress themes & templates for 2019. The first item on our list is this beautifully designed WordPress theme called Consor. While it is designed mainly for business and consulting services, it can also be used for accounting and tax service websites. It has a host of features which include Elementor Page Builder, social icons, JetElements, and mega menu. An accountant is a accountant WordPress theme that is created for tax service and accounting agency websites. Its formal and professional design and its technical features make it a highly responsive theme that should be on your list. Accounting’s features include unlimited color options, high-performance UX, SEO optimization, and Slider Revolution. 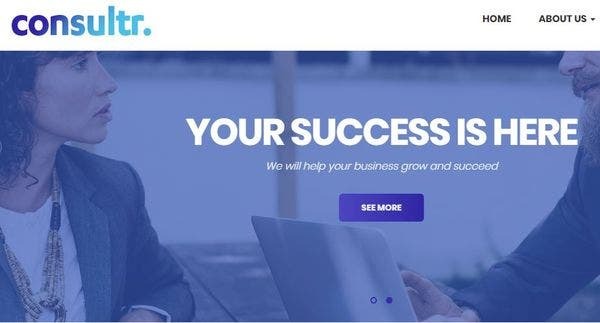 If you are looking for a top-notch financial WordPress theme that gives you high performance and an attractive design, go for Prioris. Despite being designed for consulting and business agencies, this theme can also be used for tax and accounting agencies. Some of its top features include SoundCloud, Cherry plugins, Google Fonts integration, and SEO optimization. 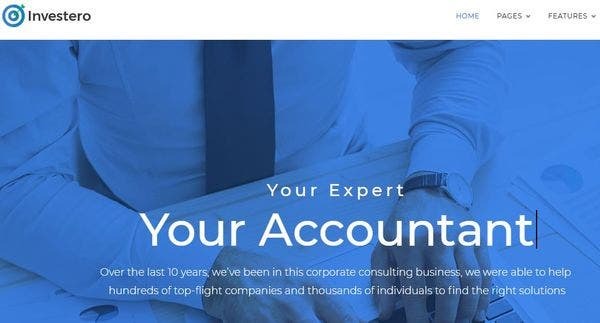 As its name suggests, TaxAdvisor is a professional WordPress theme that is designed for financial advisor and tax service agency websites. TaxAdvisor has a simple and minimalistic design and uses images and other visual content to make the site more interesting to your visitors. Its top features include intuitive admin panel, simple theme customizer, powerful display, and overall fully responsive design. 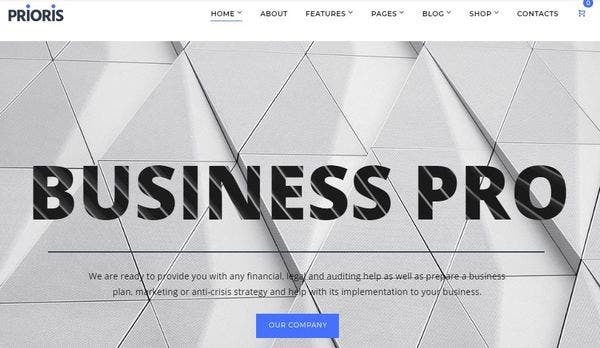 A prime finance consultant WordPress theme that is designed for consulting and accounting service websites is Finance. 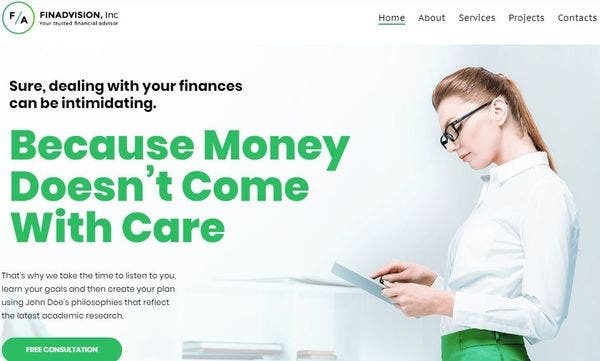 Finance’s design is creative and classy and it uses a lot of technical features to make the theme highly responsive and smart. Its features include 5+ headers, LayersWP framework, cross-browser compatibility, and services grid. With a WordPress theme like Consulting, you can be sure that your agency has a beautifully designed and easy-to-use website. This HTML5+CSS3 WordPress theme’s design is clean and professional and has a variety of technical features that make it easy for visitors to use. Consulting has a list of amazing features that include HTML5 and CSS3 coding, advanced typography options, Slider Revolution, and one-click installation. 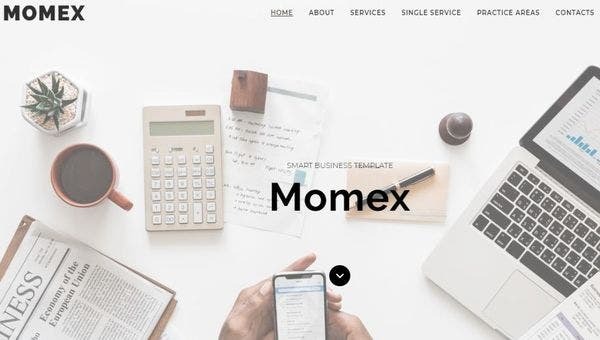 Momex is a high-quality best business WordPress theme created for the business agency and consulting agency websites. 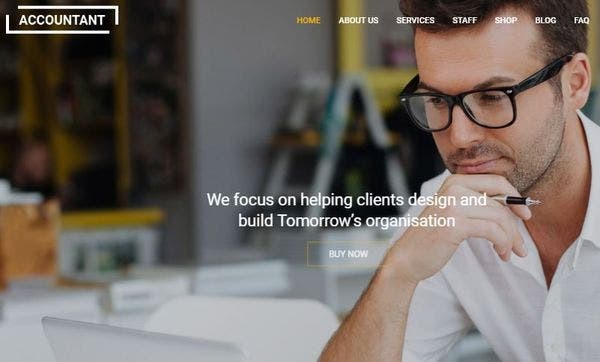 Although this theme’s design is for business websites, the same can be customized to suit the needs of your financial and accounting service website. Momex’s features include 4 blog layouts, Elementor Page Builder, Live Customizer, and clean HTML code. Another modern WordPress theme to keep your eyes out for is Tax Help. This theme has a design that is bright and professional and uses plenty of graphics and images. 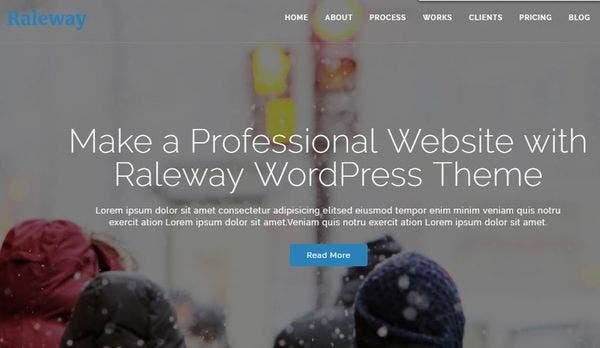 Some of its features such as WPBakery Page Builder, shortcode builder, color scheme editor, and WooCommerce store make this theme a must-try for your website. 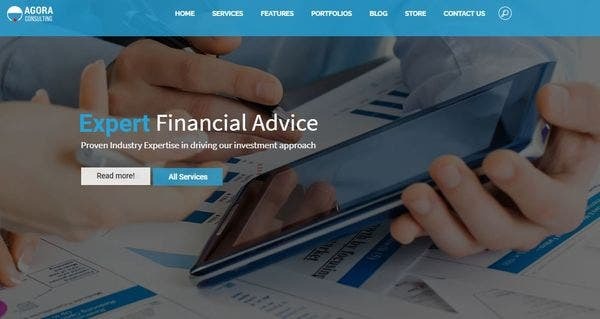 If you want a good theme that has emulates the feel of a modern day financial and accounting agency, Financial Advisor is the stunning WordPress theme for you. The design of this theme is smart and classy and it uses the concept of minimalism to create a stylish website. The features of this theme include one-click installation, WPML support, JetElements, and Google Fonts integration. 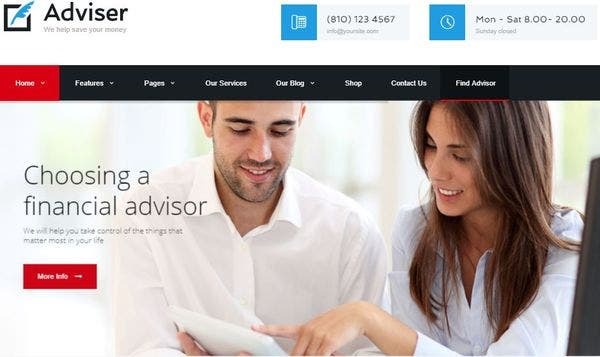 True to its name, Adviser is a responsive WordPress theme crafted for accounting and finance advisory websites. 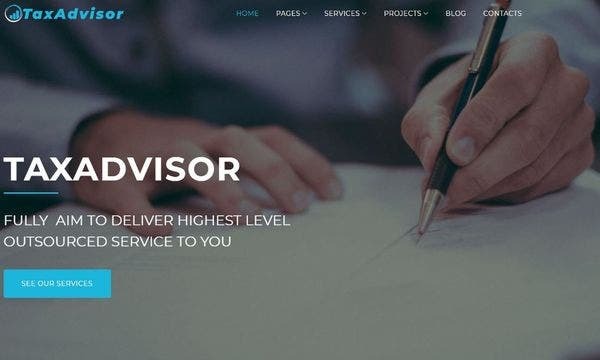 Advisor has a design that is bright and modern and it comes with a lot of technical features that add to its responsiveness. Some of its main features include lots of shortcodes, a variety of widgets, WPML support, and Flickr Gallery. With Equanto, you get a highly optimized WordPress theme that has been crafted to make your website absolutely stunning. 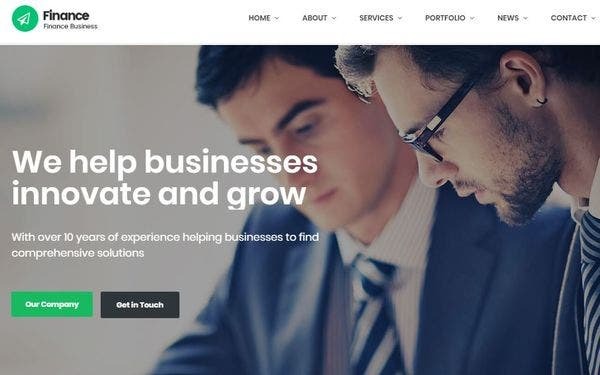 This business WordPress theme was built for business and consulting websites but it can also be customized for tax and accounting service websites. Aside from its awesome design, Equanto has amazing features that include Elementor Page Builder, JetElements, WPML support, and outstanding plugins. Investero is a social media ready WordPress theme to use for your website if you are hoping to amplify your content rather than the design. The design of this theme is classy and minimalistic and uses images as part of the background. Some of Investero’s top features include dynamic and static elements, 7 header layouts, drag-and-drop page builder, and Cherry plugins. 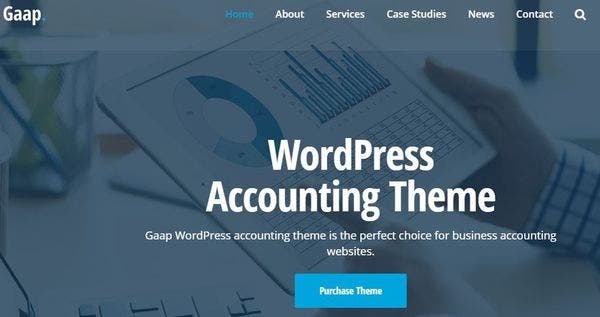 Gaap is a drag-and-drop builder WordPress theme that has been designed for financial service and accounting agency websites. Its sleek and smart design uses images and videos as part of the backgrounds, making it a highly modernized theme for your website. This theme’s features include awesome drag-and-drop page builder, Yoast SEO, Font Awesome icons, and unlimited colors. 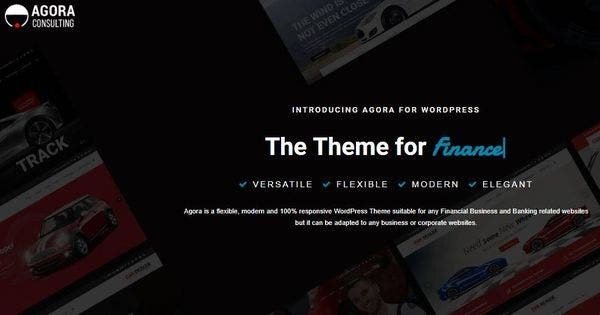 If you are looking for something more than your typical plain backgrounds website, Agora is the SEO friendly WordPress theme for you. It has a design that is creative and smart and uses a beautiful combination of colors and images to add to its beauty. Some of its features include multiple layout features, video backgrounds, detailed documentation, and SEO optimization. You can expect to see a lot of visitors to your website if you use this retina ready WordPress theme called Raleway. Raleway’s overall design is professional and modern and uses images and videos as backgrounds for the web pages. Raleway’s important features include hover effects, Bootstrap, MailChimp, and Contact Form 7. Finan is a mobile responsive WordPress theme that is designed for business consulting and financial agency websites. Finan’s is minimalistic and modern and uses images along with different hues of color for the backgrounds to make a highly interactive website. Its features include Kingcomposer, W3C-valid HTML coding, Font Awesome icons, and cross-browser compatibility. 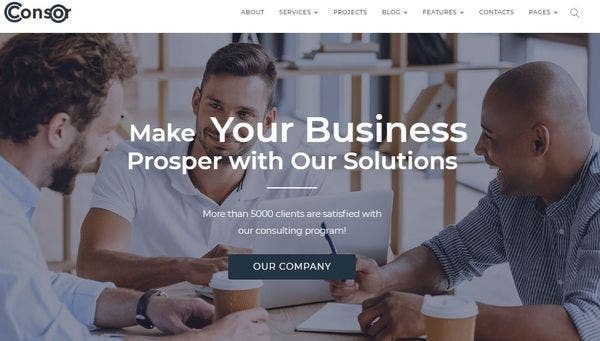 A must-see on this list is Consultr, a WordPress theme that has been created for consulting and financial service agency websites. This theme’s design is smart and sleek and has a lot of technical features that make the design responsive, in turn making it easy for your clients to go through your site. Consultr’s features include Contact Form 7, King composer, social media icons, and Bootstrap. 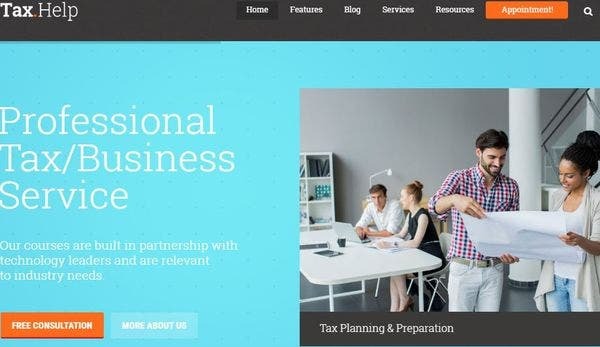 These are some of the best tax service WordPress themes and templates. Try these out and see which one you want for your website today!